Due to its nature as a radio signal, Wi-Fi can occasionally become unstable or intermittent, for a few different reasons. The nature of the problem depends on the exact symptoms and type of device affected. In this article are some things you can try yourself to try and improve your connection, and details on how to contact us in the event the issue is not resolved. This guide is primarily aimed at laptop and desktop devices. Mobile devices should follow the steps outlined here. Press and hold the Windows key ( or ) and press the letter "R" > In the box, type "ncpa.cpl" and press Enter > In this new window, right click the Wi-Fi network connection and select Properties > Select Configure, then go to the Driver tab > Click Update Driver > Select Search Automatically > The computer will then check the best driver is installed. Open the App Store, go to the Updates section and install any updates shown there. Open Settings > Select About phone/tablet > Software update > System Updates > If your device is up to date it will say so here. Open Settings > Select General > Select Software Update > Any available software updates will be displayed here. Press and hold the Windows key ( or ) and press the letter "R" > In the box, type "Control Panel" and press Enter > In this new window, select Hardware and Sound > Under Devices and Printers, select Device Manager > Under Network Adapters, double click the 'Wireless' or 'Local Area' network card > Go to the Power Management tab > Make sure the option to 'Allow the computer to turn off this device to save power' is unticked. You should also deactivate any wireless or Bluetooth devices you have in your room and see if this makes any improvement. All these devices will be using the same Wireless band as Wi-Fi, so they may be interfering. If your device has more than one of the Glide Wi-Fi networks saved, it might be constantly switching between them. Try forgetting all but one, and see if the connection improves. Lastly, you should also make sure your device is free from any viruses or malware. Any free Anti-Virus software will work for this, such as AVG Free or Avast. If the issue persists, we will need to speak with you in order to work out the best way to improve the connection. You can either call us on 0333 123 0115, or alternatively you can email us some information, and we’ll contact you. First, we need to you capture some data from a laptop or desktop when the connection is not working. Don’t worry if the computer isn’t the device you’re having an issue with – these steps will give us general information about the Wi-Fi signals in the area. Press and hold the Windows key ( or ) and press the letter "R" > In the box, type "ncpa.cpl" and press Enter > In this new window, right click the Wireless network connection and select Status > Select Details > Copy the IPv4 Default Gateway. Next, press and hold the Windows key ( or ) and press the letter "R" > In the box, type "cmd" and press Enter > In this new window, type "ping (paste (Ctrl+V) the IPv4 Default Gateway here)" -n 6 > Press Enter. Once it's finished, do the same again (it will automatically select the next line), but this time write 8.8.8.8 instead of the IPv4 Default Gateway. Now type "ipconfig/all" and press Enter > Find the "Wireless adapter WiFi" section > Select and Copy all of this information, and include it in your message to us. The following steps are for Windows 8 devices onwards. If you have an older device, you can skip this section. Press and hold the Windows key ( or ) and press the letter "R" > In the box, type 'Control Panel' and press Enter. In this new window, click "Network and Internet", then "Network and Sharing Center". Click "Troubleshoot Problems" at the bottom of the Window. Select "Network Adapter", then click Next on the window that appears. Select the Wi-Fi option then click Next again. Your computer will now attempt to scan for any issues. Once finished, click "Skip this step". Wait for the Troubleshooting Process to finish and then select "View Detailed Information". Please note that we are not interested in the initial troubleshooting result - it is this detailed report that we are after. Scroll down slightly and expand "Detection Details" using the arrow on the right. On the keyboard, press Ctrl+A to select all of the text, then Ctrl+C to copy this text. Open Notepad and then Ctrl+V to paste the report. Save this Notepad file in a location you will be able to find it again with the filename "BSSID". Do a Spotlight search (cmd ⌘ + space) for Network Utility, and open the application > Go to the Ping tab > Type the Router Address, enter a number of 6 pings, then click Ping > Take a screenshot (shift + cmd ⌘+ 4) of this information. Once it's finished, do the same again, but this time enter 8.8.8.8 instead of the Router Address. Click the Apple icon (top left) > Select About this Mac > Select System Report > Click Network > Click Wi-Fi. You can check you have the right page by looking at the top line, which should say "Software Versions". Select and Copy all the information shown here and Paste it into a TextEdit document, then Save it with the title "WiFiReport". Is more than one device affected? 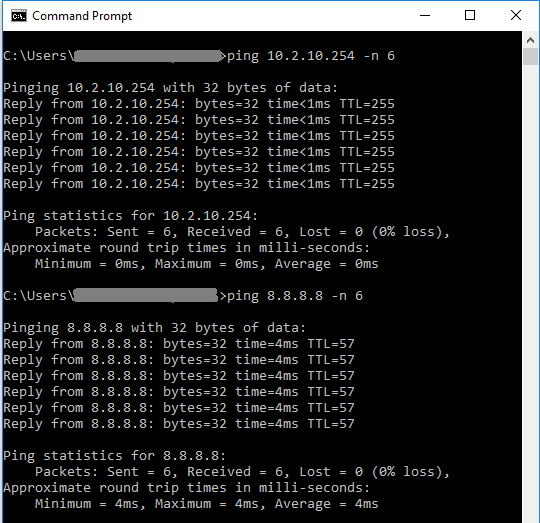 How long are the disconnections? What is the interval between disconnections? Does the Glide Wi-Fi network frequently disappear from the list of available networks on the device(s)? Does the connection improve outside your room? Are you able to test the Wired connection? Please send these screenshots as attachments, along with the answers to the above questions in an email to us, and we will endeavour to get in touch as soon as we can. Alternatively, you can contact us using the form below, and send the attachments when prompted later on. You must include either your Username or Account ID in the email. Tell us the reason why this article didn't help you? Need to raise a support ticket? This should be the email address you originally registered with.